What’s the collective description for a group of postmen (British) / mailmen (American)? A package? A parcel? A strike (oooh, cheeky)? A sorting? Regardless, in the midst of all the carnage going on in the world somehow one death above all others has harpooned my heart with pain, and that is of Monty, one of current British monarch Queen Elizabeth the II’s corgis. He had a good innings and all that, but the timing couldn’t have been worse as, after his recent appearance in the British Olympic Games opening ceremony in which he and his fellow Royal Palace corgis, Willow and Holly, greeted Daniel Craig as he arrived to accept a mission from the Queen, he had been hoping to pursue an acting career and get his photo with some wide-eyed orphans splashed across the front page of every newspaper in order to positively improve public feeling for the Monarchy. It turned out he lived to the grand old age of 13, which is a magnificent 68 or 77 in dog years (depending on whether you class them as a small or medium dog breed), and before belonging to the Queen he was the pampered pooch (does that sound too tacky? Too tabloid media?) of our current Queen’s deceased Mother, also named Elizabeth. Monty was named for Monty Roberts, an American horse trainer who had a loyal fan base in the animal-loving Royal Family, even attending Windsor Castle in 2002 as part of the Queen’s Golden Jubilee celebrations. He was also awarded an Honorary Member of the Royal Vatican Order (MVO) in 2011 as part of the Queen’s Birthday Honours List. Upon hearing of Monty’s death he’s offered the Queen a corgi puppy to add to her family. 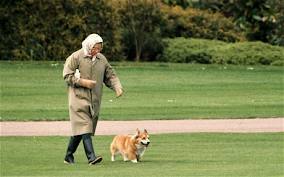 To the public, the corgi breed and the British Royal Family are entwined together, and the history of this dates back to 1933 and Albert Frederick Arthur George, who was known to his family as Bertie and was later crowned King as George VI, the father of our current Queen Elizabeth II. He got his family a little male corgi that they called Dookie, and that dog/breed was such a hit that they got another corgi , a female, who they called Jane. She went on to birth a litter of pups (Dookie you stud), of which the Royal Family kept 2, naming them Crackers and Carol. The young Princess Elizabeth loved corgis so much that was given a corgi of her own on her 18th birthday in 1944 who she called Susan. 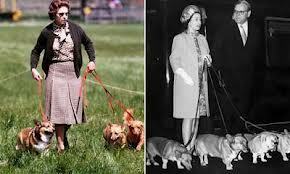 Since then she has owned over 30 corgis, nearly all of which descended from her beloved Susan. Monty has been referred to many times in Royal Family linked literature, one of favourites being The Queen and I by Sue Townsend (she of The Secret Diary of Adrian Mole fame), in which she tells an alternate story where after the 1992 British elections a staunchly anti-Monarchy Prime Minster is elected and makes the decision to remove royal status from the Windsor and sends them to a grotty council estate (the British version of trailer parks) to live like normal people. In TQ&I, Monty has to adjust to no longer living the good life in a palace but instead dwelling in squalor in a small bungalow with the Queen Mother. He eventually discovers his wild side, runs free with a local pack of dogs and terrorizes and bullies the other Royal corgis who choose to remain civilized and loyal to their owners. The British are famous for being big pet people, and despite our stereotypical stuffy, ‘stiff upper lip’ inability to display emotion we go absolutely goo-goo over our pets, lavishing upon them all the love and affection that we carefully repressed for years after Daddy went off to fight the Germans but only after refusing to buy us a pony. 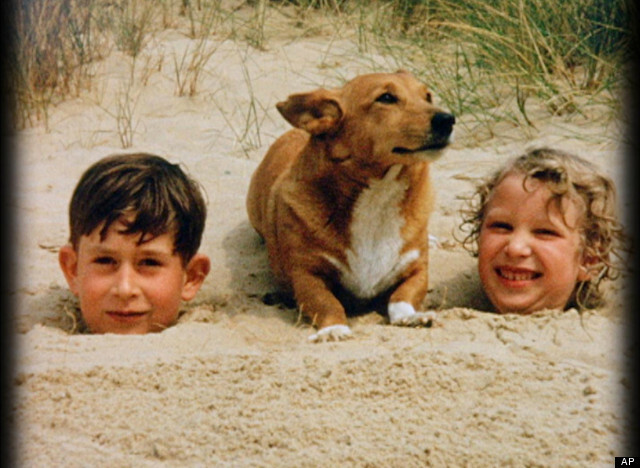 The fact that the Royal Family are entwined with the corgis breed is a huge factor in their public appeal as, regardless of the British upper classes being perceived as cold and unemotional, their blatant love of animals and dogs endears them to their subjects and gives us something we can relate to as, underneath our ankle-hiding, tea-drinking, glory-day-Empire reminiscing exteriors, we’re just completely big softies for our pets, and therefore even though less than 0.00000000018% of the British public ever saw Monty in person, much less stroked him, he is as precious to us as our own pets and therefore the country is joined in solidarity for the loss experienced by the Royal Family, the Monarchy and British citizens worldwide. 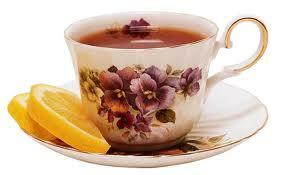 We raise a china cup of Earl Grey tea with lemon (but no milk or sugar you barbarians) in memory of Monty. Next Post Trying To Blog But Where To Find The Time!? !